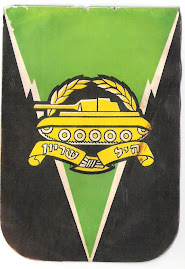 IDF ARMOR חיל השריון-צה"ל: "Peace for Galilee" 1982 Lebanon War-"Sheleg"
In Lebanon, the fragile state of no-war, no-peace, in place since 1973, began to break down as the PLO strengthened its mini-state in Lebanon, established PLO military training centers, and escalated artillery and cross-border attacks on civilians in northern Israel. 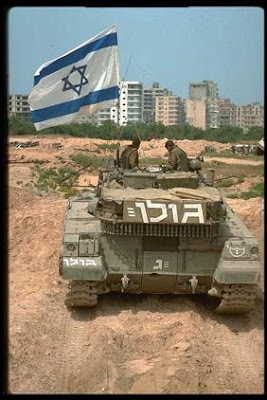 Israelis were forced to spend long periods of time in bomb shelters. 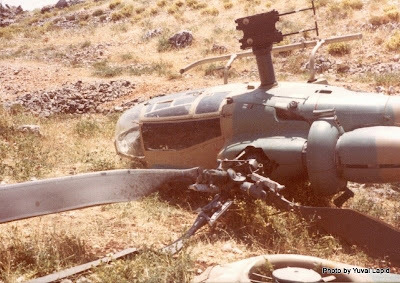 The immediate trigger for Israel's operation into Lebanon was the attempted assassination of the Israeli ambassador in London on June 3, 1982. The next day, Israeli jets attacked PLO targets in Lebanon and the PLO responded with rocket and artillery barrages into northern Israel. 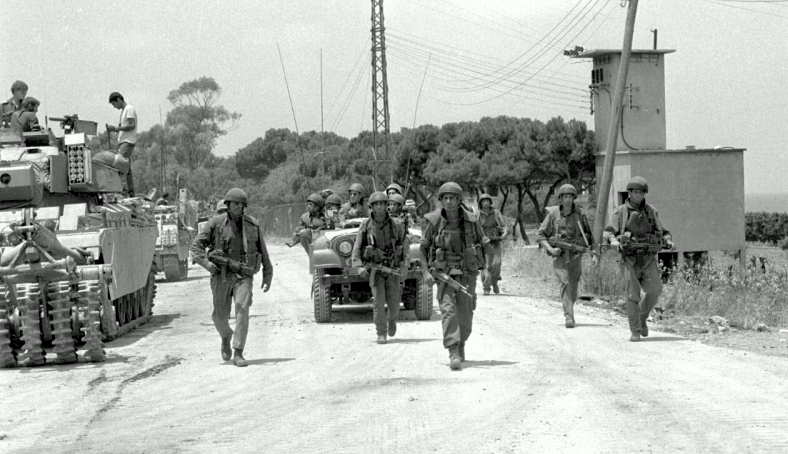 The Israeli cabinet met to approve sending ground troops into Lebanon. 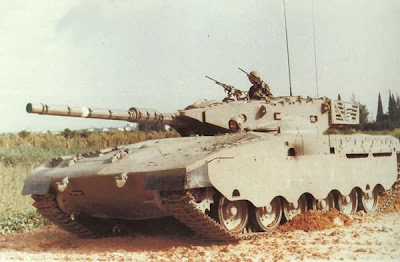 Defense minister Ariel Sharon briefed the cabinet on "Operation Peace for Galilee" ­ a plan for a limited incursion of twenty-five miles into Lebanon to wipe out PLO positions in southern Lebanon and thus safeguard Israel's population in northern Israel. 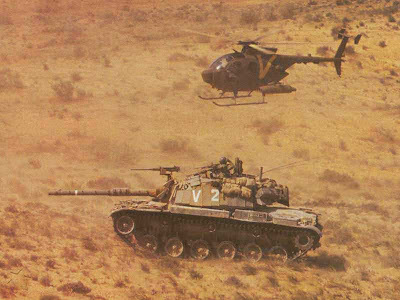 The cabinet, including the opposition Labor Party, supported the plan for a limited operation. 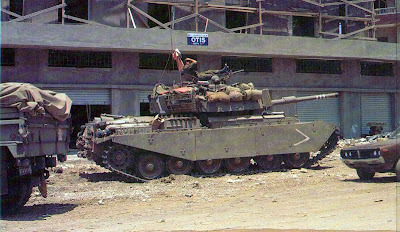 Mr. Sharon and Chief of Staff Rafael Eitan, however, had a wider-reaching grand plan beyond that of destroying the PLO's military power in southern Lebanon and the creation of a security zone there. 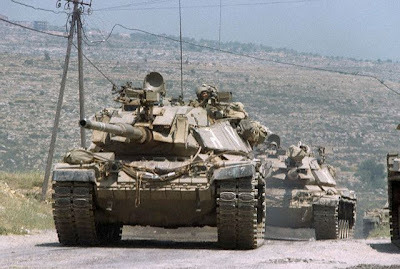 They envisioned completely eradicating the PLO's military, political and economic hold over Lebanon, evicting Syrian forces from Lebanon, and facilitating the creation of a Christian-dominated Lebanon which would sign a peace treaty with Israel. 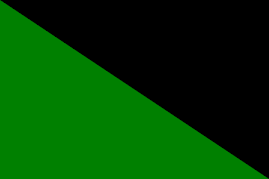 The Lebanese presidential election was scheduled for August 23, 1982. 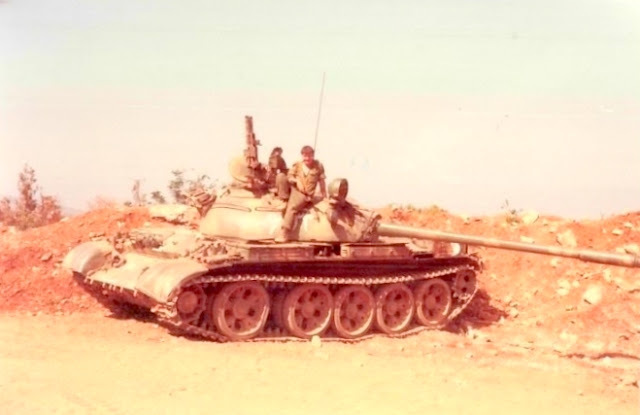 Sharon discussed the Israeli plan with Christian Phalangist leader Bashir Gemayel, who apparently supported it and agreed to help rout the PLO from Beirut. 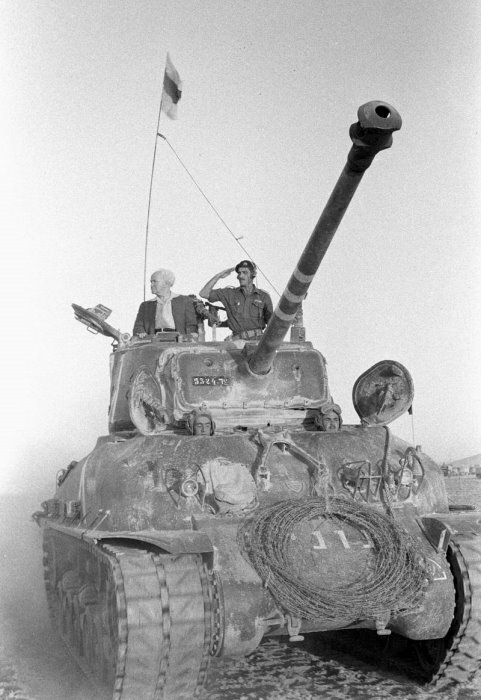 Counting on Phalangist assistance, Sharon and Eitan ordered Israeli troops to advance as far as Beirut. On June 6, Israeli ground troops began their advance into Lebanon and quickly overran PLO positions in the south. 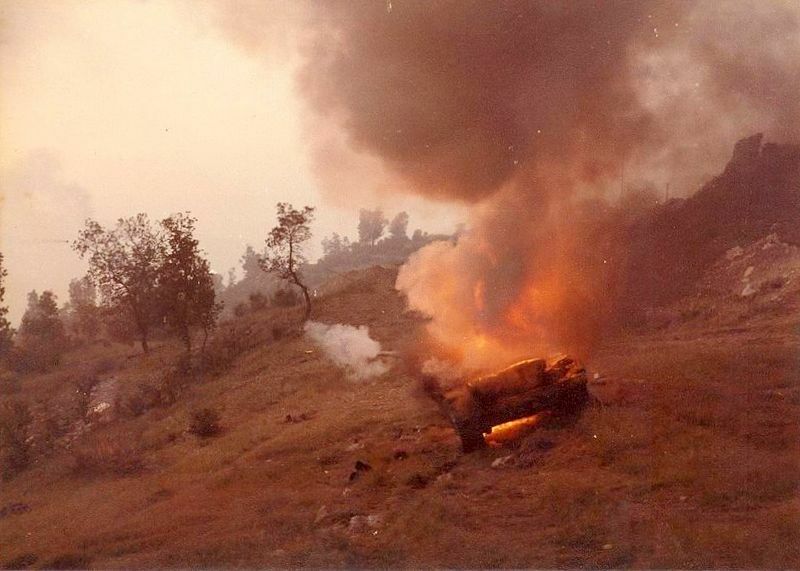 On June 9, Israel destroyed Syrian SAM missiles which were installed in the spring of 1981 in the Bekaa Valley. 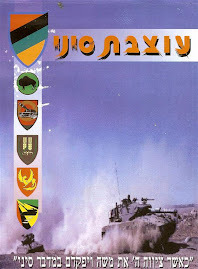 A Syrian-Israeli air confrontation ensued which resulted in severe military losses for the Syrians. 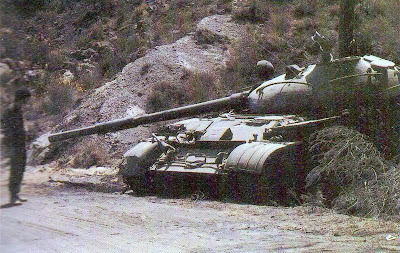 The Soviet Union rejected Damascus's plea for direct Soviet intervention but Moscow sent equipment and advisers. 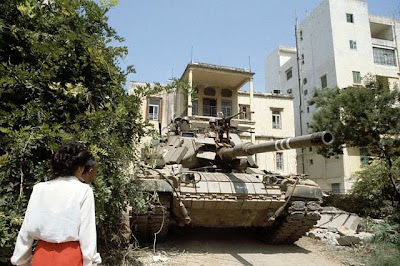 Israel laid siege to the PLO in West Beirut leading to a PLO surrender and agreement to evacuate Lebanon. 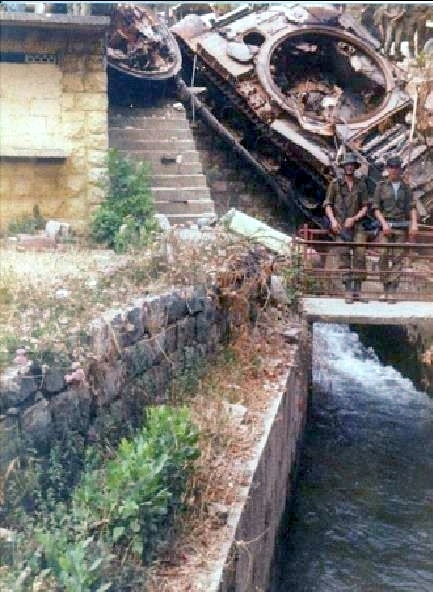 On August 23, Bashir Gemayel was elected the President of Lebanon. 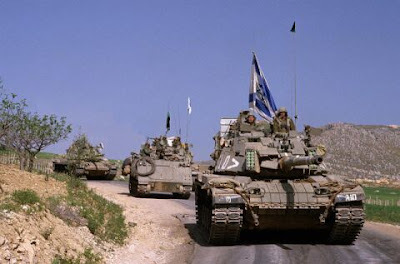 Israel hoped that a Lebanese-Israeli peace treaty was on the horizon. 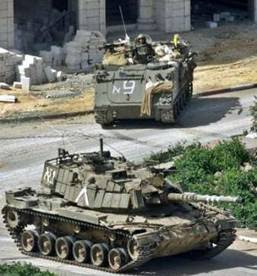 A multinational peacekeeping force arrived in Lebanon in order to supervise the departure of the PLO. 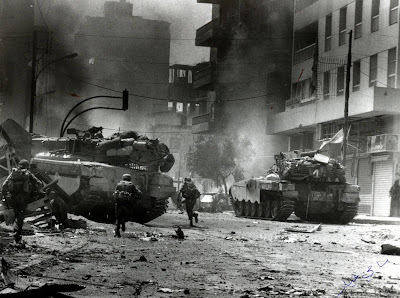 By September 1, 1982, over 14,000 armed PLO forces had left Beirut. 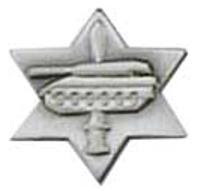 PLO headquarters was transferred to Tunis, Tunisia. 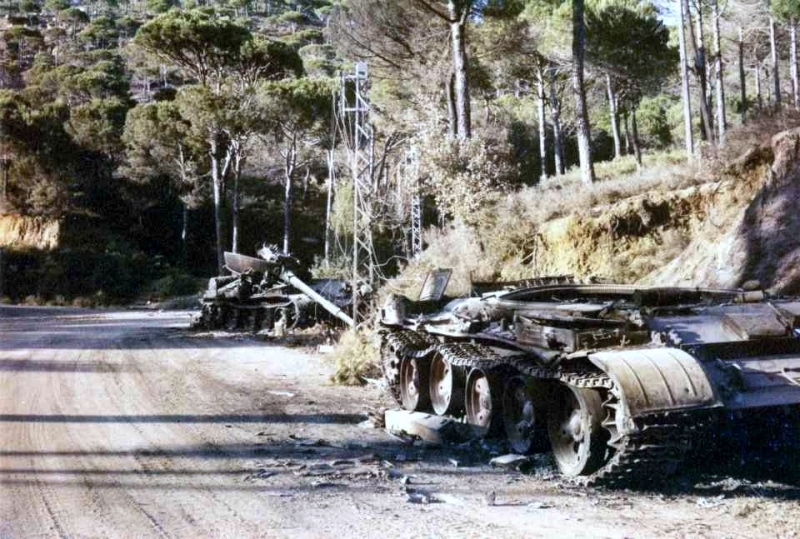 The evacuation of the PLO failed to bring stability to conflict-ridden Lebanon and Christian-Palestinian tensions remained high. 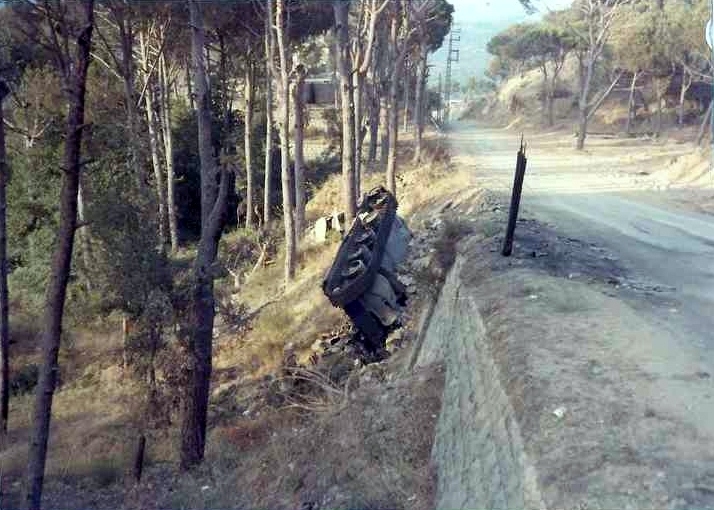 On September 14, 1982, President Bashir Gemayel was assassinated. 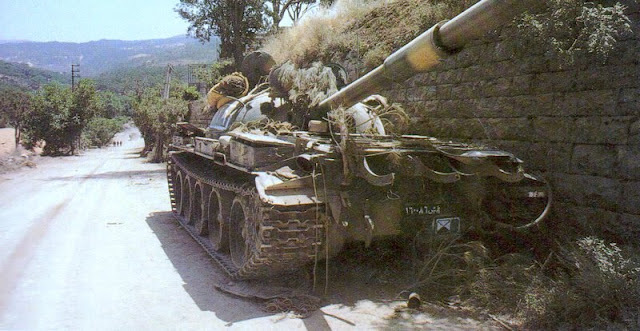 On September 16, without obtaining prior cabinet approval, Sharon and Eitan moved Israeli troops into West Beirut and permitted Christian Phalangist forces to enter the Palestinian refugee camps of Sabra and Shatila with the purpose of routing out remaining PLO forces that had evaded evacuation. 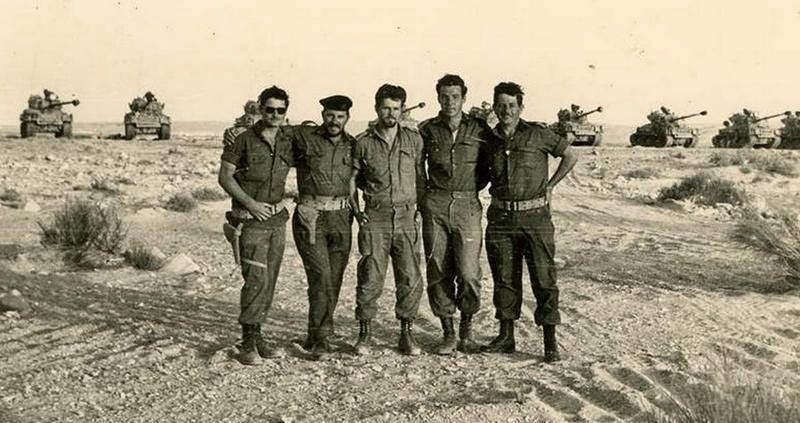 The Phalangist militias, however, massacred Palestinian civilians. 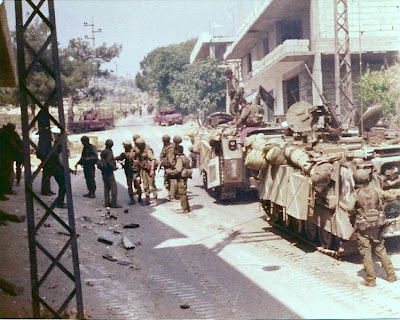 Israel's limited objective of removing the PLO's threat to northern Israel was accomplished with the evacuation of PLO forces from Beirut. 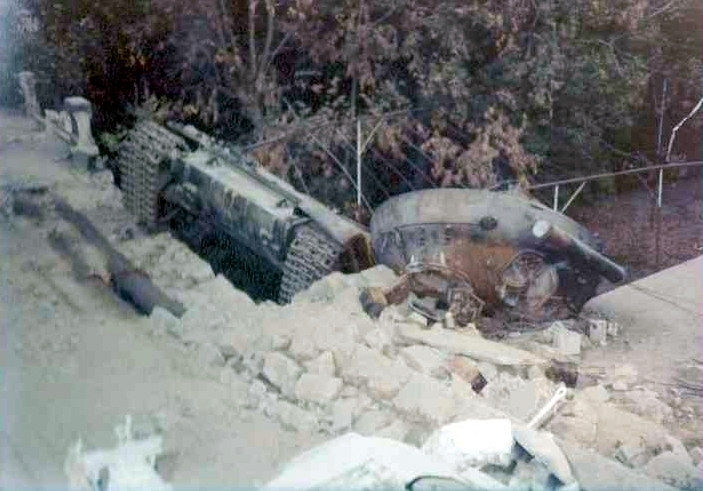 The PLO state-within-a-state had been dismantled. 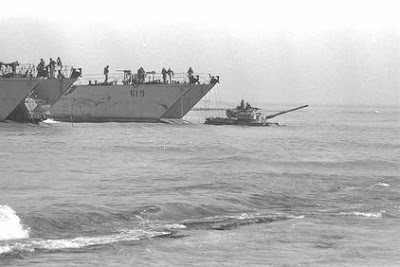 The larger objectives of the war were not realized. Syria remained ensconced in 35 percent of Lebanon and the Christian-dominated Lebanese government was not strong enough either to conclude a peace treaty with Israel or to control rival Lebanese factions from assaulting each other and attacking Israel. 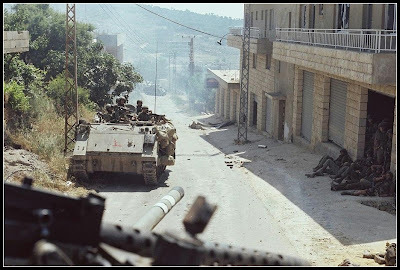 Ethnic, communal and religious violence in Lebanon remained unabated and Israel continued to pursue a peace treaty with Amin Gemayel, the new president of Lebanon. 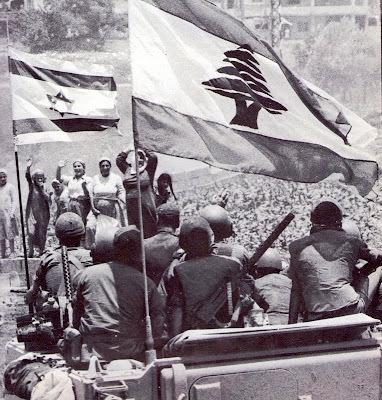 With American mediation, on May 17, 1983, a Lebanese-Israeli agreement was signed. 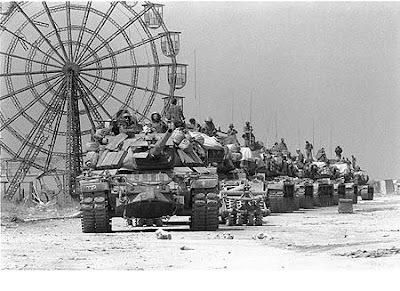 Although the document was not a formal peace treaty, it terminated the state of war between Israel and Lebanon. The document was short-lived, however. 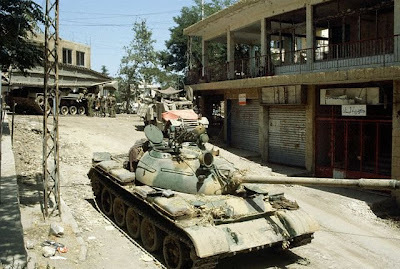 Syria had no intention of removing its troops from Lebanon as the agreement called and the Phalangists were not strong enough to control the numerous rival factions in Lebanon from engaging in terrorist actions against Israel. U.S. forces in Lebanon, there since July 1982, were also subject to terrorism. 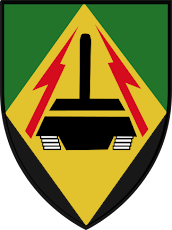 In October 1983, a suicide bomb attack killed 241 U.S. marines. 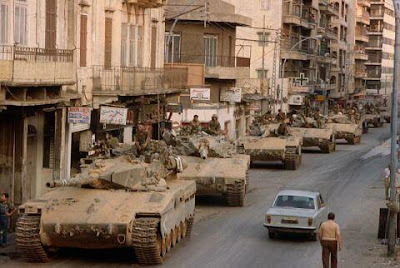 In February 1984, U.S. marines were removed from Lebanon. In March 1984, under pressure from Syria, the Lebanese government formally canceled its agreement with Israel. 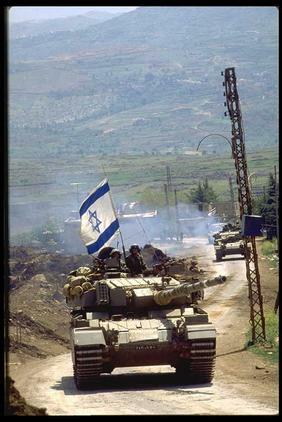 In June 1985, Israel withdrew from Lebanon, except for forces stationed in the security zone in southern Lebanon, established as a buffer between Lebanon and Israel. The security zone is a strip of land three to five miles wide along the length of the Lebanese-Israeli border. Over the years, the zone has shielded Israeli civilian settlements in northern Israel from cross-border attacks. 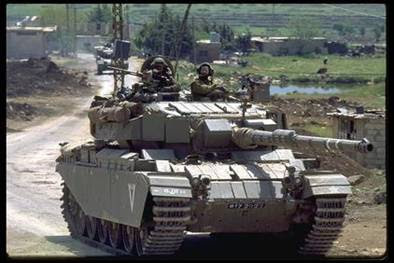 Many terrorists on their way to northern Israel have been caught and stopped in the security zone. 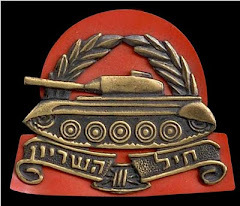 At the same time, since 1985, many Israeli soldiers have been killed in the security zone by terrorist groups such as Hezbollah (Party of God). 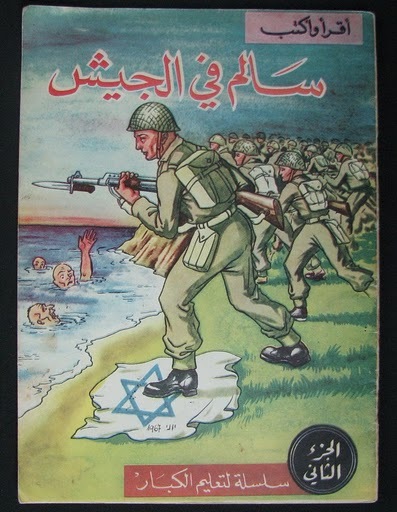 The larger objectives of the Lebanon campaign left a significant imprint upon Israeli society. 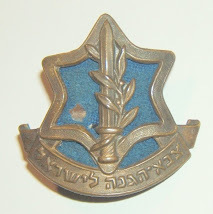 Israel's campaign in Lebanon was the first war Israel waged which provoked widespread debate within Israel. 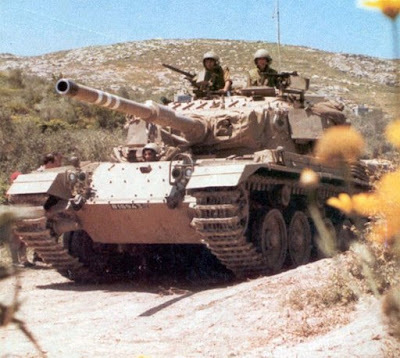 While many Israelis agreed with the limited objective of destroying the PLO's power in southern Lebanon in order to protect Israel's northern population, they disagreed with the larger objectives envisaged by Sharon and Eitan. 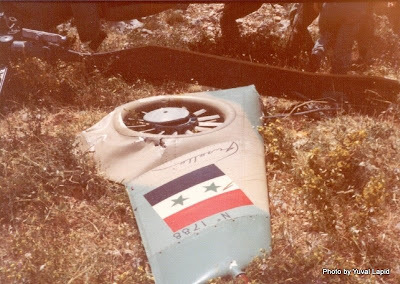 These larger, unrealistic goals, they argued, had caused an unnecessarily high number of Israeli and Palestinian civilian casualties in Lebanon. 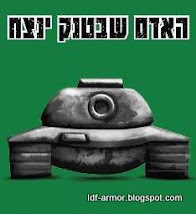 For the first time, Israelis took to the streets for anti-war demonstrations.